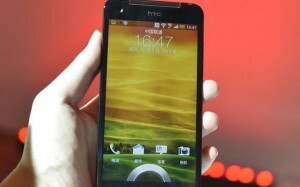 HTC Butterfly is a Quad core processor powered Jelly Bean Android Phablet. It is much to talk due to its new User interface and powerful performance. We have already told you about how to unlock and root HTC Butterfly. We are here with a new tutorial to unroot the device and install Stock Firmware. We have given the stock RUU update file here so that you can restore your device to Stock Android 4.1.1 Jelly Bean firmware. HTC Butterfly owners who have bricked their device, or facing boot loops etc can install the stock RUU to unbrick their phone. Warning: You should proceed with the article. We or the developer will not hold any responsibility if anything happens to your phone. Step 1: This article should only be tried on HTC Butterfly. Step 4: Please disable all Security programs like Antivirus and Firewall from your computer and uninstall the same from your phone, as these security programs will interrupt the process. Step 5: Enable USB Debugging in your HTC Butterfly from the path “Settings > Applications > Development > USB debugging”. The option of USB Debugging should be ticked. Download HTC USB Drivers for your PC so that it recognizes your device. Also, install Android SDK on your PC. Step 1: First of all, go to “platform-tools” folder and open up a command prompt window there. Step 2: Enter your phone into Fastboot mode. To do so, when the phone is OFF, press and Volume Down + Power buttons together, when the screen turns ON then select “Fastboot”. Step 3: Now, connect your phone to the PC using the original USB cable, as soon as your PC recognizes the device, you will see the USB Fastboot Banner in it. Step 5: Now, download HTC Butterfly “RUU.exe” from here to your computer. It contains the stock firmware. Step 6: Next, reboot your phone again so as to enter it in “Fastboot USB”. Step 7: Now, double-click on the file “RUU.exe” file you have just downloaded to launch it. Step 8: The flashing process will complete in 10-15 minutes. Step 9: When the flashing process has completed, you phone will automatically reboot. Cool! Your HTC Butterfly is now running stock firmware once again. Let us know if anything worries you, we are here for you always.